Old Colony Heating, Air Conditioning & Plumbing is proud to serve the Abington community! Located 20 miles outside of Boston, Abington is a suburban town of 16,000 residents. This community is located in Plymouth County and was originally founded in 1668. Historically, Abington was the center of the U.S. abolitionist movement from 1846-1865. While the shoe and iron industries were prominent here, the town has evolved into a primarily residential community with light manufacturing in the fields of machine-tool and printing. In addition to its close proximity to Boston, Abington is also located near Weymouth, Holbrook, Rockland and Whitman. Abington is home to several attractions and things to do. Outdoor recreation is especially popular with parks like Island Grove and Ames Nowell State Park both being found in the community. 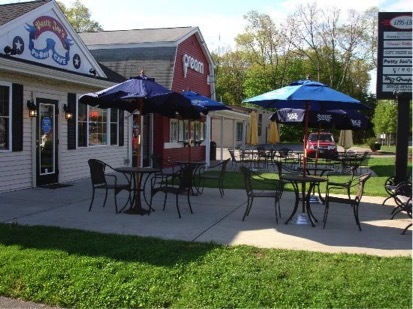 There are a variety of restaurants in the community offering varied cuisine, including Cream Etc., Mia Regazza, China Eatery, and the Lobster Barn. After a good meal, residents who are still looking for a little pampering and relaxation might like to visit the l & J Massage Center, Elite Nail and Spa, or Vivian’s Nails and Spa. Whether you are living in Abington or are just planning a visit, it is important to know what to expect in terms of the weather. The year will begin with a cold and snowy winter season, featuring either cold rain or potentially heavy snowfall, depending on the year. Freezing temperatures are common, especially overnight, and they will lead to a calm spring season. Residents should take advantage of this time to have their systems examined by an HVAC professional to ensure they are working at optimal efficiency. The summer months bring along high temperatures and significant humidity levels. This can be a difficult time for people who are living with respiratory conditions like asthma or allergies. Fortunately, an energy efficient system will not only keep homes and businesses cool, but they can also improve indoor air quality.